Wendin Standish polyresin Cute Buffalo Toilet Brush and Holder Set Animal Shape Toilet polyresin Holder by Wendin Standish at Animal Backgrounds. Hurry! Limited time offer. Offer valid only while supplies last. 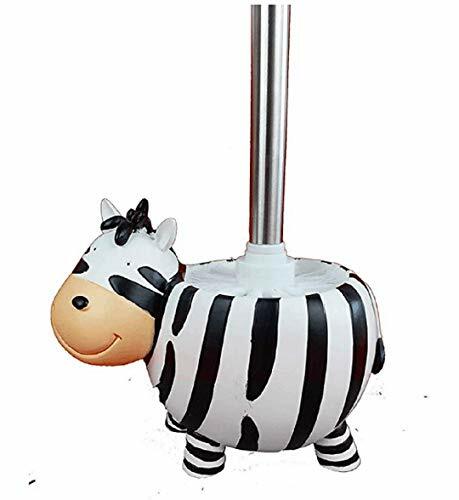 This buffalo shape toilet brush holder is a hand painted poly Resin design that features excellent detail and realism. The toilet brush is included. The material is high quality resin. Perfect accent for any bathroom, make your laundry work vivid savory. Toilet brush holder with brush included. If you have any questions about this product by Wendin Standish, contact us by completing and submitting the form below. If you are looking for a specif part number, please include it with your message.